The City of Fremantle works in collaboration with Perth Parkour, the WA branch of the Australian Parkour Association. 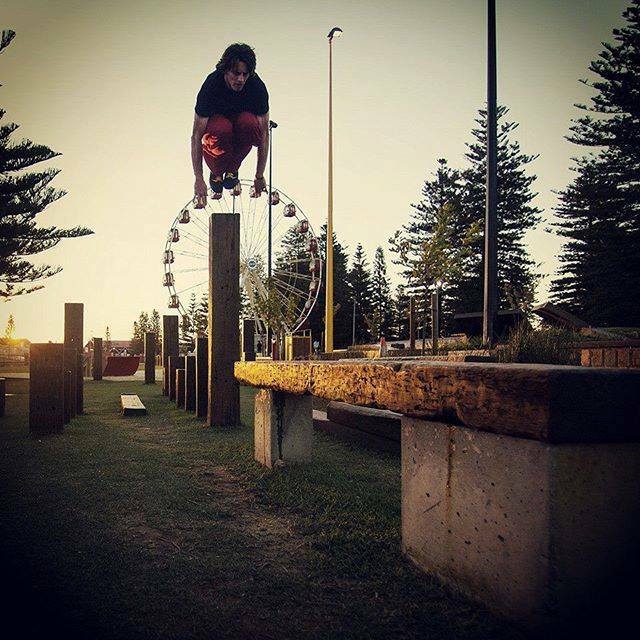 Perth Parkour have been instrumental in the establishment of Australia's first purpose built outdoor parkour facility at the Fremantle Esplanade Youth Plaza. Parkour is a physical discipline in which one trains to become efficient in their movement In order to overcome obstacles (both physical and mental). This can involve running, jumping, climbing, balancing and more. Often confused with freerunning, parkour is more about efficiency and movement that can assist you in a "reach or escape" emergency situation. Freerunning while involving a lot of similar movement to Parkour, it's more about aesthetics and expression than efficiency. Throughout the year Perth Parkour have workshops and training sessions open to the public. Go to their website for more information. During the school holidays the City of Fremantle offers free parkour workshops for young people. Two workshops are offered in a junior and older format. New dates for holiday workshops will be available approximately a fortnight prior to each holiday period. Download a disclaimer form and bring it with you. Drop in short parkour workshops will be running throughout the event. Workshops will be a hour or less but will allow for breaks. People can sign up throughout the day. Check Freo Youth Facebook page for last minute updates. Registering guarantees you a spot. You can try and sign up on the day but if numbers are at capacity you may miss out. Download a disclaimer form and bring it with you. Please click through and register for each week you can attend.